Nice review. I hope I get a chance to try one. great read man. I love the band on this one. what year is that stick from? looks so smooth and silky. great write up, ide love to get my hands on some in the near future! Too many reasonably priced delicious stogies to go chasing one like this IMHO. 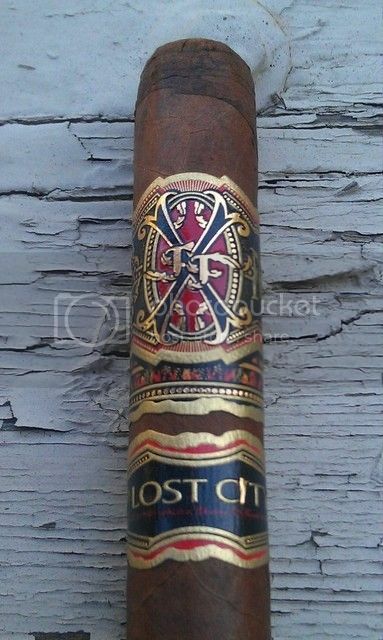 although i do prefer the standard opus, the one lost city i had was damn tasty. Great review and pictures Doc! Keep up the great work! Great review! Does anyone else's mouth water when looking at the smoothness of the wrapper in the second picture? Nice write up! I really like these cigars. I picked up three boxes a while back 1 robusto, 2 dlb robustos. I really like them. Pricey for sure but I got some good prices on them. I actually like them more than the regular opus. I think they have more flavor. However it all depends on the mood.